Long trip for the parents...Penang-KL-Tokyo-Minneapolis-Miami-Atlanta, but they definitely maximized their time in Tokyo. Caught the very last glimpse of sakura at Ueno garden, visited Ueno zoo for free, enjoyed Tokyo's night view for free from Metropolitan Government Building, and tried the famous Ichiran ramen during their short 2-night transit in Tokyo. Korean food for lunch at SoKongDong Tofu House. The parents chilled at the hotel and took the complimentary hotel shuttle to the nearby shopping area while I was at work during the week. At least I was able to get off at a decent time for dinners with them. Wrapped up my work in Atlanta Thursday evening and took off Friday to do more sightseeing with the parents. I definitely optimized this work trip by adding in sightseeing in both Georgia and Tennessee, since they've never visited these 2 states. Worked out perfect! Another place that I last visited in 2008. Not much changed but I wanted to bring the parents here coz I enjoyed the views here. Fortunately, it was a pleasant day for sightseeing. It was a lil' challenging for dad to navigate these narrow areas and steps but he was a good sport. It wasn't crowded at all so we were able to take our time exploring. Mom certainly enjoyed walking through these narrow walkways. Two main highlights...Swing-a-Long Bridge and Lover's Leap. The bosses knew that my parents were in town so they were very nice to allow me to work from home on the final week of the audit. =) Yayy to home-cooked meals with the parents after 2 months of eating out. After a full week of working from home while the parents chill at home, we finally had some family outdoor time! Started the day with breakfast at the parent-in-law's and a quick check on the garden. Broccolis are growing well! Quick stop at Guntersville dam. Ended the day with seafood dinner at Top of the River. May 10, 2017 (Wed): Went over to the in-laws' to do some gardening while mom swam and enjoyed the jacuzzi. May 11, 2017 (Thurs): Dinner with MIL's uncle and cousin at Yoshi Sushi Fushion. Thanks mom for arranging this dinner. May 14, 2017 (Sun): This year's Mother's Day is special coz we got to celebrate it with both Moms! =) Thanks to the in-laws for arranging this fish-fry & pool party, letting my parents experience the chillax, outdoor-sy lifestyle here. Thankful to be able to celebrate this special day with both parents, families and friends! 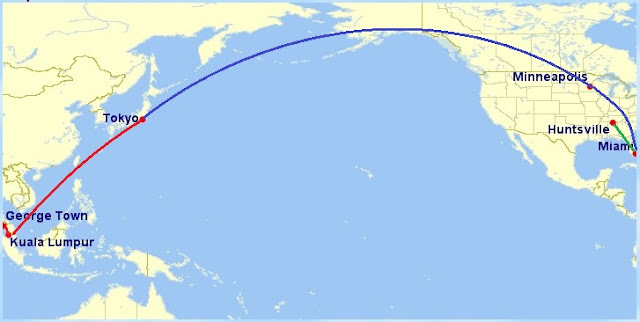 Thanks to Secret Flying, I found these super cheap tickets from Tokyo to the US back in January. Since it doesn't work the other way around and I couldn't take advantage of this deal, I asked my parents if they wanted to come over instead. 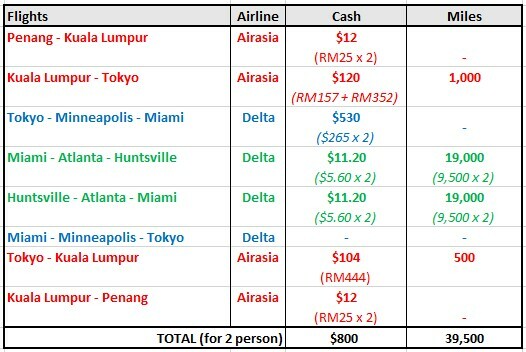 We had to figure out the flights between KL-Tokyo and Miami-Huntsville, but I don't think I'll ever find a return ticket between Asia and US for as cheap as $265 (30,320 yen) per pax, so I went ahead and booked the flights for them. The parents' route across the world (23,451 miles)...Penang - KL - Tokyo - Minneapolis - Miami - Atlanta - Huntsville. Apart from flights, I was also able to use Hyatt points for hotels in Miami and Tokyo. 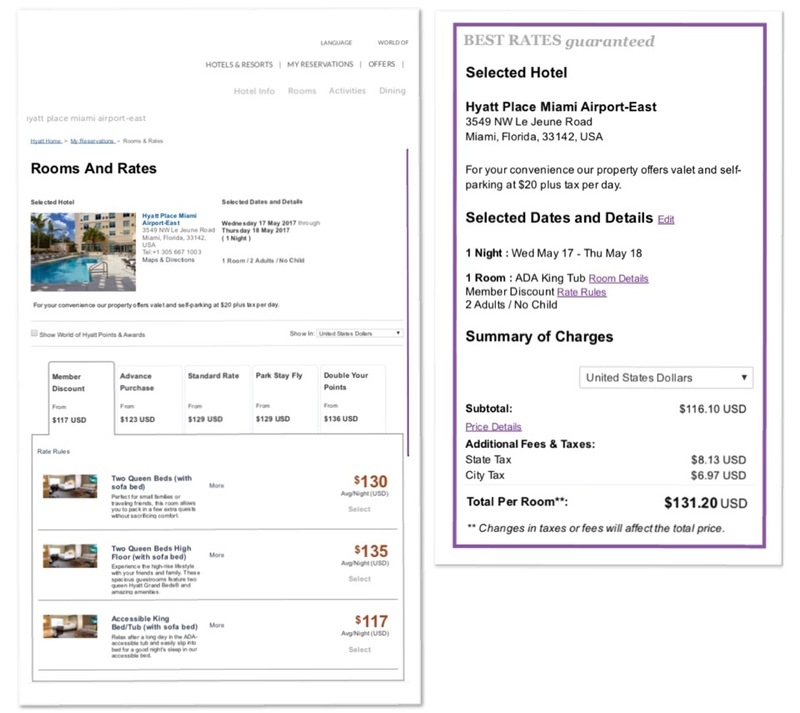 Hyatt Regency Tokyo for only $75 (instead of $326), thanks to the Chase Hyatt visa annual free night. The hotel is conveniently located in Shinjuku, with complimentary shuttle to Shinjuku station, complimentary access to the indoor swimming pool for Gold Passport members, and late check out at 2pm with my Explorist status.